Sarah Bostwick’s latest work focuses on how to communicate found space through three-dimensional drawing. Here We Are Here pairs reflections on the built environment with a strong use of material and craftsmanship. Bostwick’s architecturally driven reliefs can be viewed as totally abstract, or read as familiar locations listed in the title of each piece. 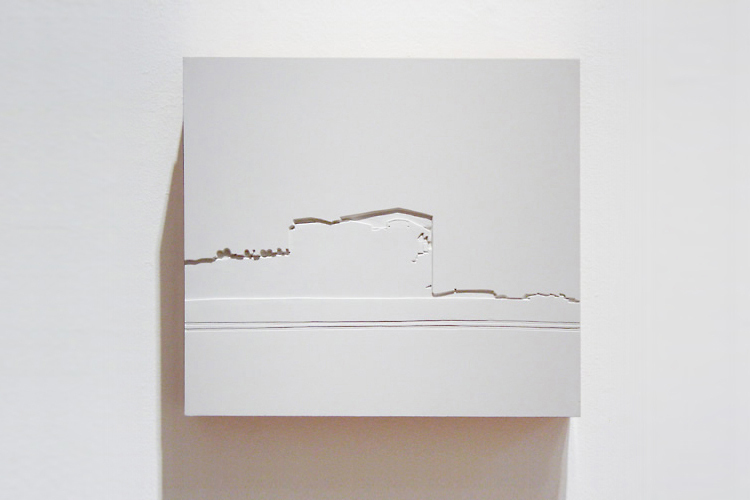 Addressing this theme from three perspectives, the show features a series of plaster reliefs; one wooden installation drawing; and an editioned, laser die-cut, paper relief that doubles as the exhibition’s postcard. 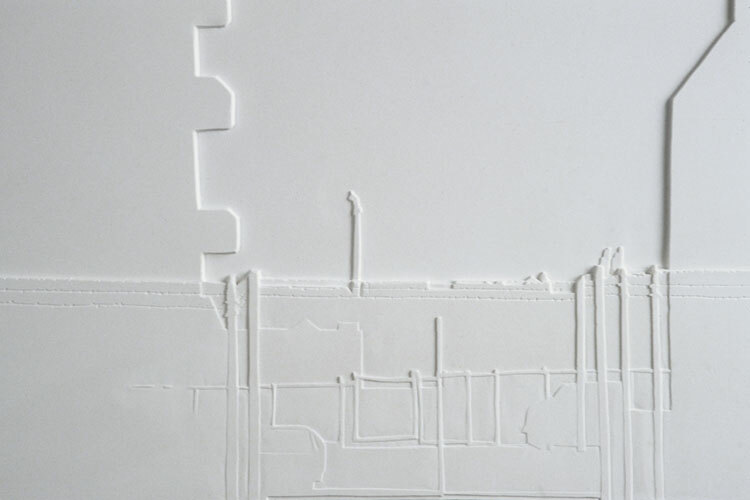 Sarah Bostwick’s recent solo exhibitions include: Dimension, a series of wall drawings made from chip board at the Alternative Arts Space, Adobe Books, 2003; and New Urban Landscape: Cast Mural, Adobe Books, 2002. Her work was also part of Element of the Temporary 3 at Southern Exposure, 2002. Bostwick graduated with a degree in Printmaking from Rhode Island School of Design in 2001. She lives and works in San Francisco. I search urban neighborhoods for odd compositions that explain how one surface fits into another. After compiling a large quantity of on-site drawings, I develop certain images back into three dimensional space in an attempt to create an artwork as dynamic as the environment it describes.